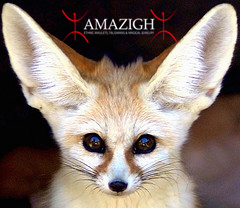 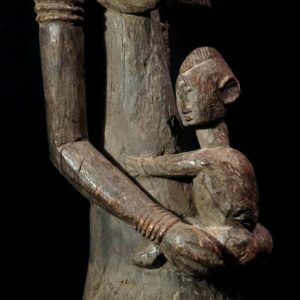 Each of their kingdoms was ruled by a king (fon) whose position was hereditary within a localized patrilineal lineage. 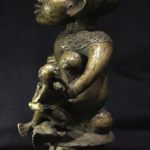 Some of these kings were assisted by a queen mother (mafo). 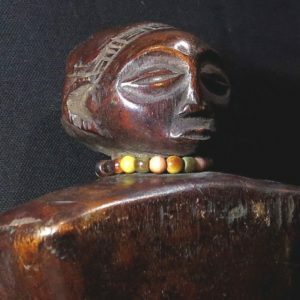 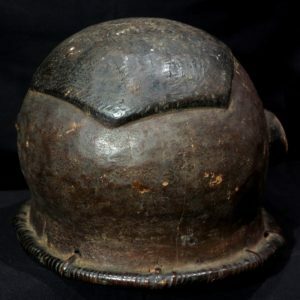 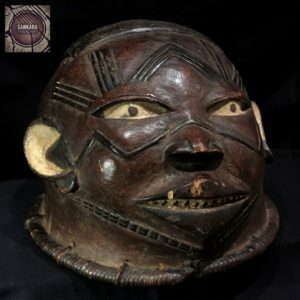 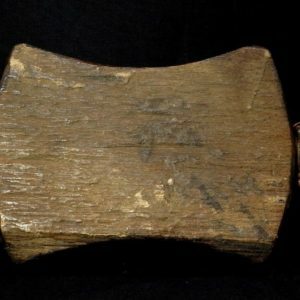 Ancestor worship is the dominant form of religion; the lineage head preserves the ancestral skulls and offers sacrifices to them. 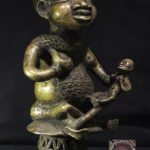 Charms and medicines are prepared by doctors, who also practice divination by interpreting an earth spider’s manipulation of marked blades of grass. 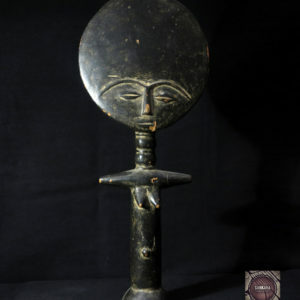 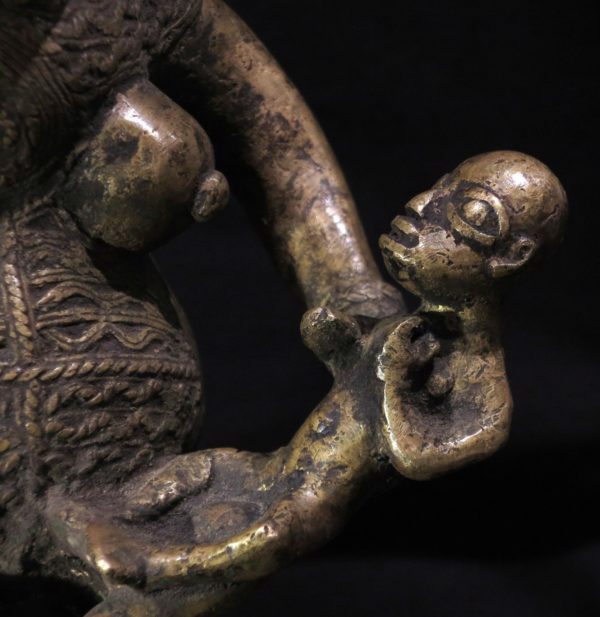 In African art the concept of motherhood and maternity is a theme surfacing in just about every tribal group. 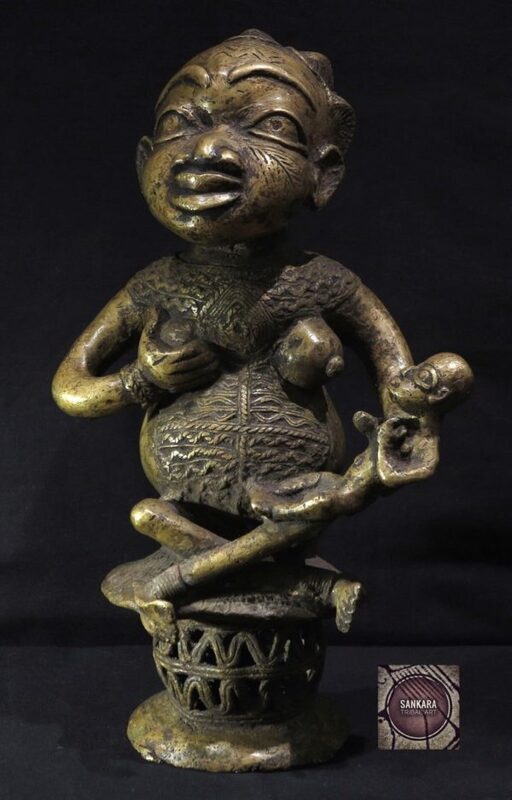 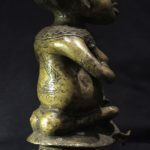 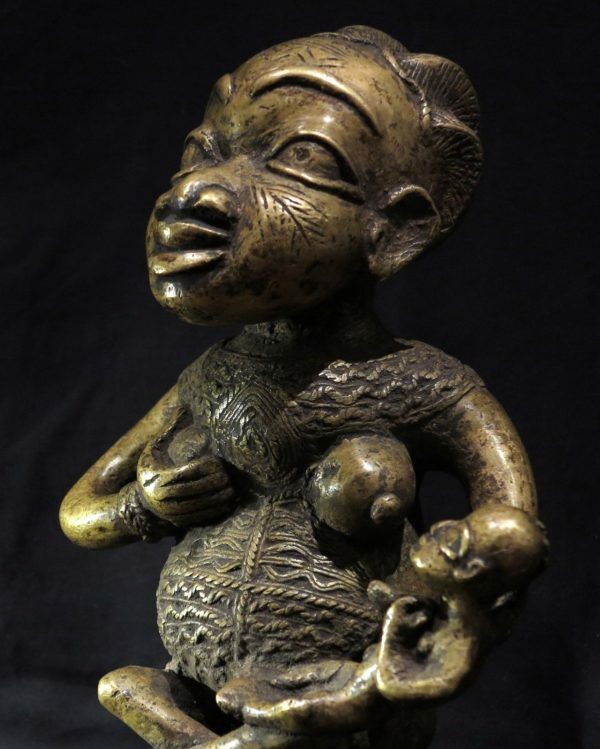 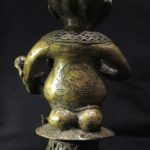 Although most societies in Africa could be viewed as paternalistic or male dominated, artfully rendered maternity figures idealizing and glorifying women were commonplace. 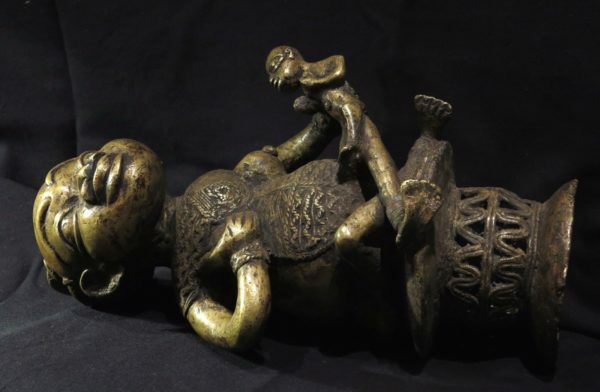 Yet, the purpose of this art was not simply to glorify women. 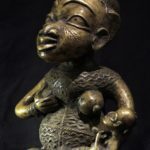 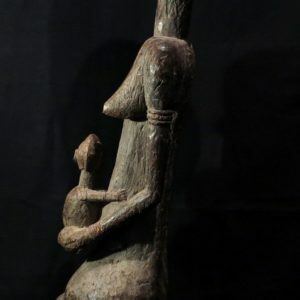 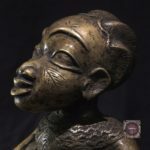 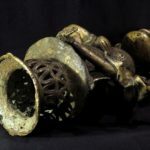 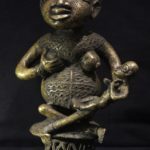 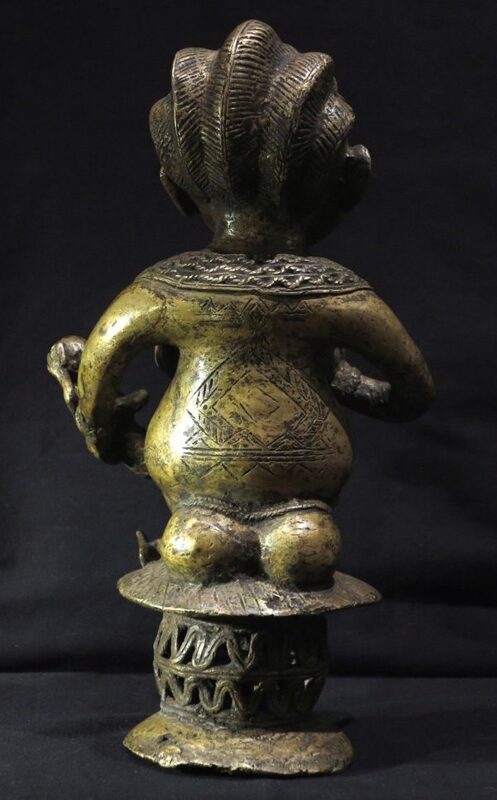 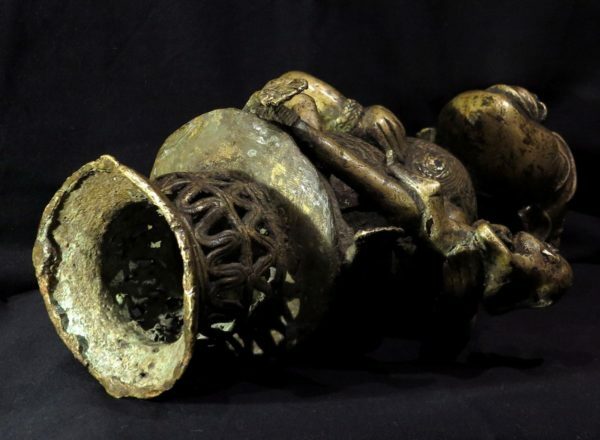 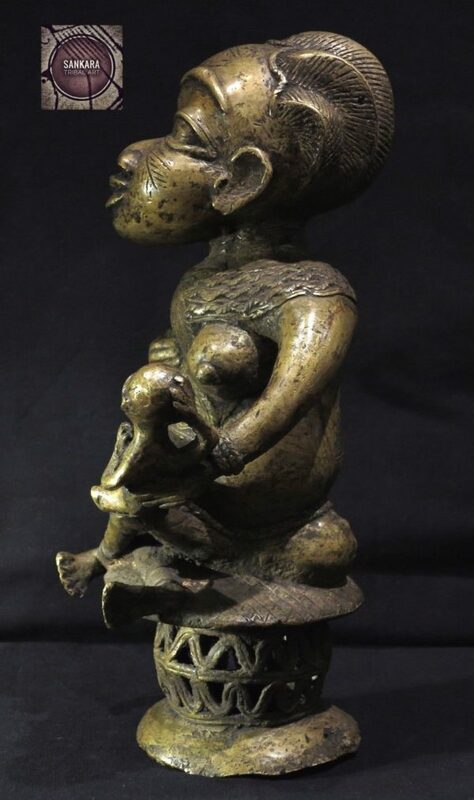 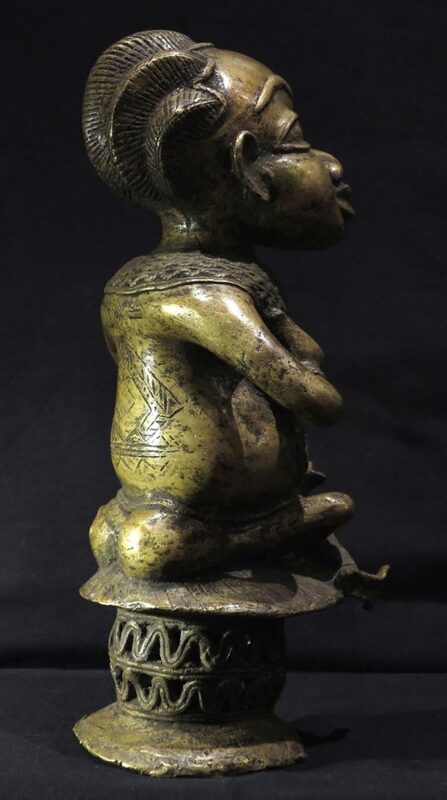 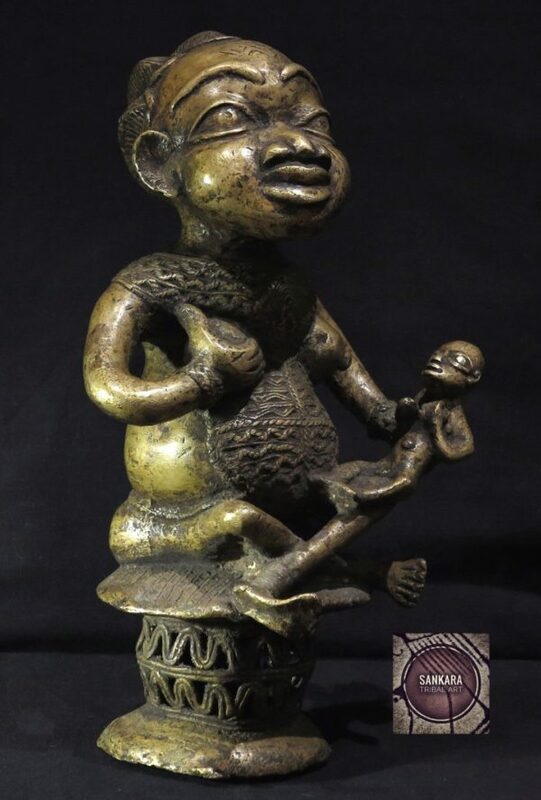 As a genre of African art, maternity figures relate to themes of continuity, fertility, the promise of future generations, spiritual and regenerative powers, and the capacity to nurture everyone from the individual to the society at large. These themes were represented by depictions of the female form most frequently shown with a young child, but they were themes that had relevance to men and women alike.